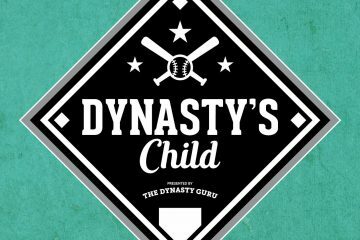 When it comes to building a fantasy baseball dynasty, one of my favorite things is finding that diamond in the rough before anyone else. You know the feeling when you pick up that guy that every manager in your league has overlooked for weeks. It’s not quiet Powerball, but it’s kind of like hitting the dynasty lottery. Today we’re focusing on one of the most undervalued players, for dynasty purposes, in the National League East. He’s a young, 6’4” fireballer, and since he’s only owned in 11% of Yahoo! Leagues, he’s probably waiting for you to hit “add player” right now. This future dynasty mainstay comes with a short but powerful pedigree. Two years after undergoing Tommy John surgery, he excelled in the tough SEC. In 2012, he went 7-3 with a 2.73 ERA and a K/BB ratio of nearly 5 to 1 as a redshirt sophomore. Heading into the 2012 MLB draft, this power lefty drew rave reviews for his velocity and control. Armed with a fastball that could hit 95-96 mph regularly, a plus changeup and the ability to throw strikes on both sides of the plate, he was picked in the 2nd round. Then his career really took off. He tore up the minor leagues in the past year and a half. Making 24 starts in A, AA and AAA, he dominated to the tune of a 1.73 ERA and 0.99 WHIP. Even more impressive, his 25.2K% was nearly four times his 6.8BB%. Now just 22 years old, Alex Wood has blazed his way back to Georgia in less than two years. The Braves called him up earlier this year, and after initially pitching out of the bullpen, Wood moved into the rotation after injuries to Tim Hudson and Paul Maholm. His numbers look like he was still pitching in Rome. He’s got his K% up to 25.9, a BAA of .230 and a OBPA of .290. While the BB% of 8.2 is higher than you want to see, he’s not letting the walks hurt him. In fact, the other advanced number show Wood could actually get better. His BABIP is .301, which is higher than average. His LOB% is 71.1%, which is lower than average. He’s got a GB% of 56.4, with the best defensive shortstop in the game behind him. Even if he does give up a fly ball, he’s got arguably the best defensive outfield behind him. Plus, while his ERA stands at 3.20, his FIP is 2.28 and his xFIP is 2.65. Finally, he’s got one of the easiest remaining schedules for any pitcher. If he remains in the fifth spot in Atlanta’s rotation, Wood will draw the Phillies two times, the Nationals twice, the Marlins, Mets, Padres and Brewers. Elijah Wood could do a decent job against those teams. While he could get bounced out of the rotation when Paul Maholm comes off the DL, Wood has a clear shot at making the Braves 2014 rotation when both Maholm and Tim Hudson are free agents. Add all of it up and you’ve got a pitcher who can rack up the numbers for you for a long time. Go get him.